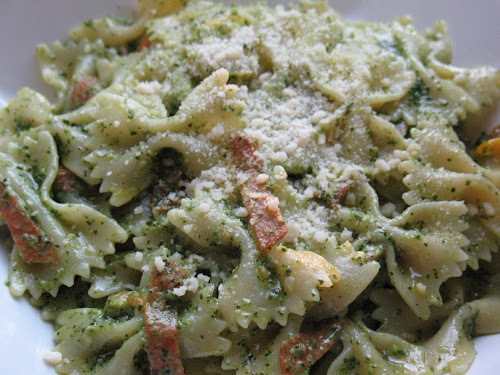 Pepperoni was the ingredient of the month last month, or so it seems from my readers, who were most interested in the Pasta with Pesto, Tomatoes and Pepperoni and the runner-up recipe of the month, the Watermelon-Pepperoni Salad. Perhaps it's time I made Mike Isabella's famous pepperoni sauce again, which is featured in his new cookbook, Crazy Good Italian. "Perhaps it's time I made Mike Isabella's famous pepperoni sauce again...." YES PLEASE!